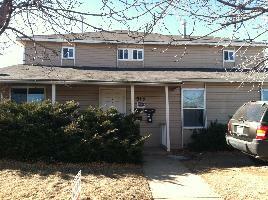 For Rent 915 30th Street Unit B - Two bedroom, one bath located two blocks east of campus. Dishwasher, on-site laundry, shared yard, near bus, & off-street parking. For more information, or to set up a showing, please call Point West Properties at 303-447-1502. Per City of Boulder regulations, occupancy limit of unrelated individuals is 4 for this property. For more information on occupancy regulations please see: City of Boulder Occupancy Laws - RHL-0004625.